and 1/2" narrower, so a 1 x 4 is actually 3/4" thick x 3-1/2" wide, s4s. 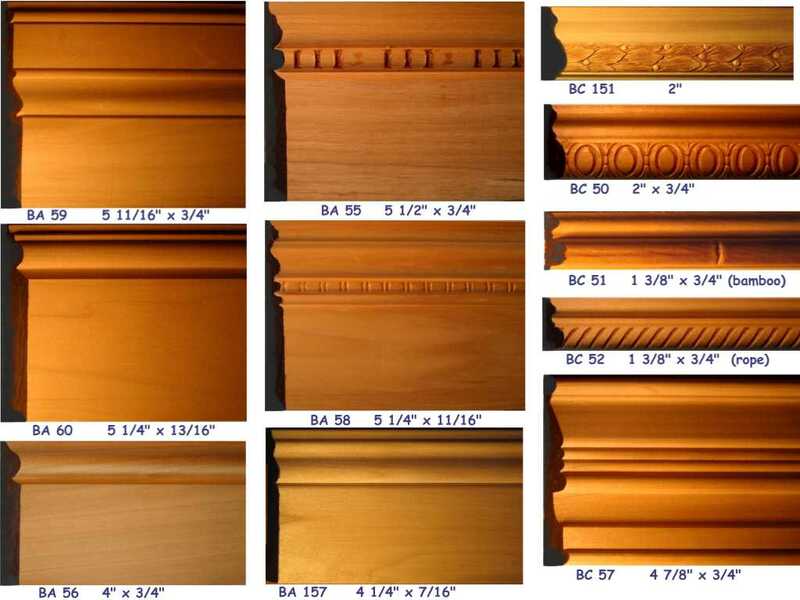 BC 151, BC 50, BC 51 and BC 52 can be added to standard s4s lumber to form a decorative base moulding of almost any height. For a very large base, BC 57 (4-7/8") can be added to a s4s board to make it even larger. 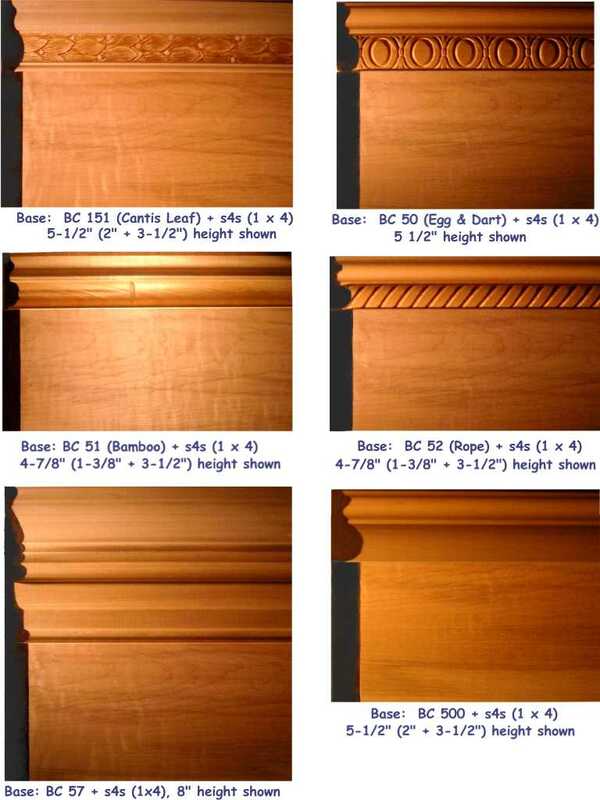 The black at the left of each moulding photo, is the cross section of the profile.